Finding the Mr. or Ms. Right is hard. What’s even harder is taking the relationship to a happily-ever-after ending. 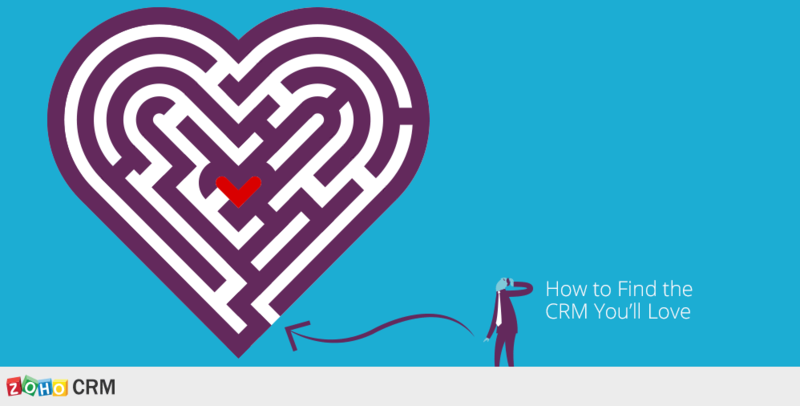 Your journey with a CRM solution is no different. You need to find that right solution, deal with the initial hiccups and complications, and even distractions from other vendors. But once you successfully cross these initial barriers, it’s a smooth sail to a new beginning. So, how do you lay the foundation for a long-term relationship? With many vendors out there, here are some tips to keep in mind to find the right one. 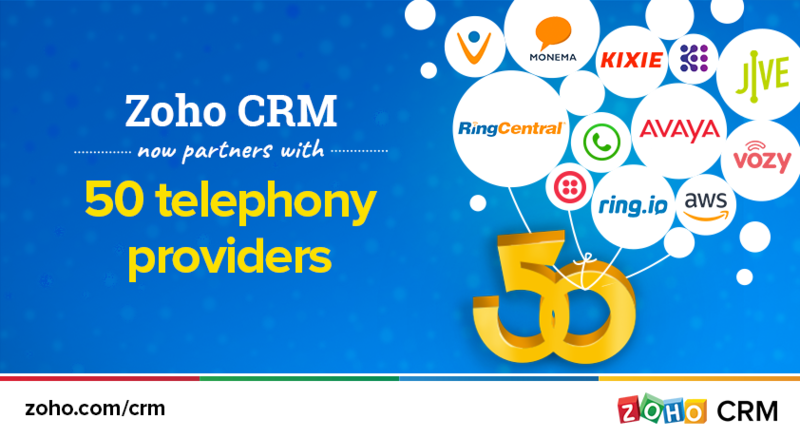 Many CRM solutions come with different editions. You need to make sure you’re evaluating the right edition that matches your business needs. Let’s say, you have a small business and you require a CRM that focuses on the sales and marketing aspect. Rather than choosing a bulky one with many features and modules, it’s best to select an edition that focuses on improving sales and marketing activities. The key to find the right solution for your business needs is to test run a deployment. Make sure you select a CRM that comes with a free trial for a sufficient period so that you can use it to the fullest. The whole world is going mobile and it’s obvious that ​you too move to the latest technology. Select a CRM that supports the mobile platform so that it is always updated with the ​latest customer information. Choose a solution that has the right price for the edition you’ve selected. Many CRMs cost you a ​pretty penny. So while evaluating, choose the ones that meet your company’s budget. Not every CRM deployment is successful at the first time. It is said that 50-80% of implementations are bound to fail. So, how do you overcome these initial teething problems? It’s easy. Take help from the vendor. Use their help manuals, forums and 24/7 support to get rid of the initial hiccups. Many CRM vendors provide a certification course. If required, it’s best to get trained and then deploy it in your organization. At this point, it’s easy to side track and fall into distractions, especially if your CRM is not working the way you want it to. But you need to resist the temptation of evaluating other solutions at this stage. It’s only going to confuse you more and you’d not give a fair chance to any of the CRM solutions. One of the reasons you’d be choosing a CRM for your organization is that you’d have faced some issues with another in the past. To choose ‘The One’, you need to first understand the limitations of your ex. Take the positives from your past experience. Learn from your mistakes and understand what went wrong to make sure it gets better second time around. Let’s face it. No relationship is perfect. But you can make it perfect. It requires some dedicated time, energy and commitment to get the best from both sides. a) take care of email marketing campaigns for consumer segment, may be even social media marketing campaigns, and see track how consumers are interacting with the marketing efforts. b) On the other part, I would have Corporate Partners / Vendors whose basic information / meeting information / action items etc needs to be recorded and captured for reference and action on due dates. In short, can you CRM support two different target segments with different requirements for each of them? Your information about the new technology &steps about crm Is very clear,I will keep it in my knowledge . Thank you very much… Very usseful !!! I’m always stucked with finding the right CRM software. But after reading this post I think I find the answer to my problem. Good article . I am using the free version and find it very useful. To learn more , do Zoho give training ? Info given to move on new technology is good idea. Thanx for sharing for wonder article. Less hassle, more hustle. 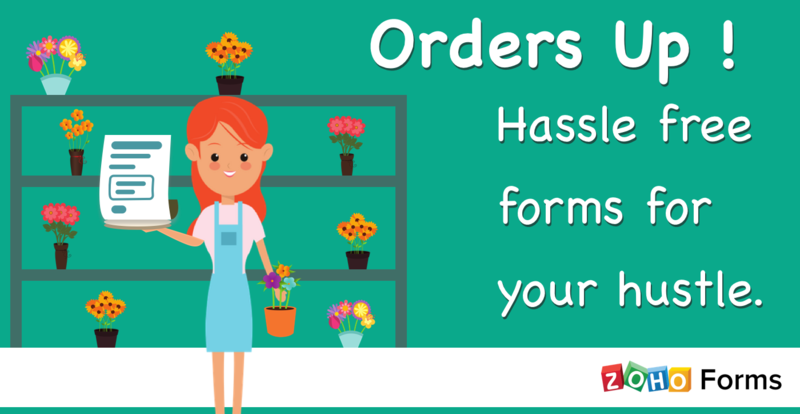 Simplifying Online Order forms.